Nearly fifteen years ago, in The End of Nature, Bill McKibben demonstrated that humanity had begun to irrevocably alter and endanger our environment on a global scale. Now he turns his eye to an array of technologies that could change our relationship not with the rest of nature but with ourselves. He explores the frontiers of genetic engineering, robotics, and nanotechnology—all of which we are approaching with astonishing speed—and shows that each threatens to take us past a point of no return. We now stand, in Michael Pollan's words, "on a moral and existential threshold," poised between the human past and a post-human future. McKibben offers a celebration of what it means to be human, and a warning that we risk the loss of all meaning if we step across the threshold. Instantly acclaimed for its passion and insight, this wise and eloquent book argues that we cannot forever grow in reach and power—that we must at last learn how to say, "Enough." Passionate, succinct, chilling, closely argued, sometimes hilarious, touchingly well-intentioned, and essential." "Bill McKibben has produced a book that is both a sequel and an equal to his brilliant The End of Nature. Enough is an ambitious and important book." "Without question, this is one of the most important books of the year. McKibben deserves to be read, to be discussed, to be heard." "[A] brave and luminous book . 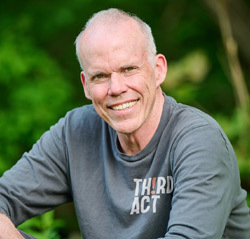 . . Bill McKibben understands genetics—but he knows poetry, too." "Bill McKibben has done a top-notch job of researching and writing about one of the most important topics of the current age. 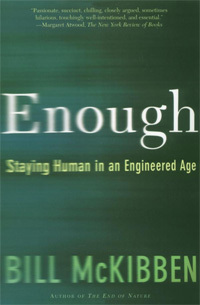 Enough is an important book and needs to be read by everyone with an interest in keeping the human future human." "Fiercely important . . . the most thought-provoking piece of non-fiction I've read in a long time." "In this wise, well-researched, and important book, Bill McKibben addresses the burning philosophical question of the new century, and the one that counts for the long haul: how to control the technoscientific juggernaut before it dehumanizes our species." "In Enough, McKibben shines his powerful light on another momentous change that is upon us: the ability to re-engineer ourselves and therefore the very meaning of human identity. If he is right, then humankind stands on a moral and existential threshold or cliff. We would do well as a society to weigh his bracing argument before taking another step."